My goodness, time flies. 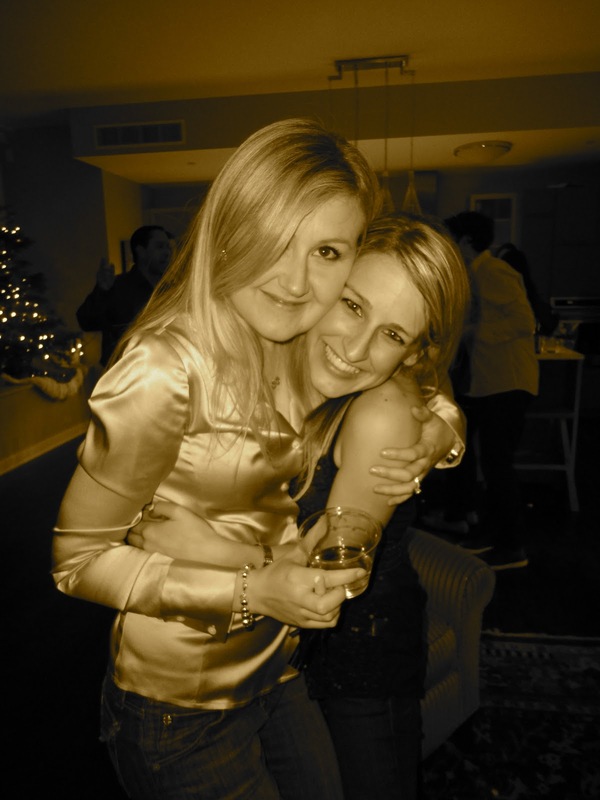 TL and I had a wonderful time celebrating the new year. In years past, NYE has always been overratted for me. I have worked the last few years, and so this year, I wasn't really looking forward to it. 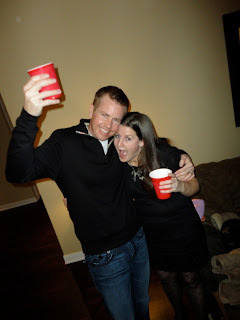 But, it turned out to be my favorite NYE celebration! It was totally unplanned, and worked out... love that! We spent the new year in San Francisco - first celebrating my MIL's 45th (or maybe a tad bit older) Birthday. We ate at The Slanted Door on the night before NYE (which is her Birthday). Has anyone eaten there?? If you haven't, you are missing out! It is one of our most favorite restaurants in the entire city! It has a beautiful view of the Bay Bridge, too. We rode home in style in a stretch limo, then got back and spent time playing a few games and catching up. It was a very fun night, Happy Birthday, Cindy! On New Years Eve, our friends C&K came to celebrate with us. We walked around the city a little bit, then ended up having dinner & cocktails and going over to celebrate the new year with my sister, Juju, and her friends. It was one of those unexpected, fun nights! Me & K...the weather was misty & overcast. It was so cozy! TL, me, K & C on our way out to celebrate. My cousins, Matt & Greyson, came over to celebrate with us, too! Greyson lives & works in the city, and Matt (above with TL) is graduating from Harvard in May. Me, Matt, Juju, Greyson - cousins! Beautiful fireworks... it was stunning to watch them from almost 60 floors up! The Bay Bridge is to the right. I hope you had a fabulous celebration. Looking forward to this year - hoping for more health & happiness. Looks like fun! Happy New Year! What a fun evening!! I love all of your pictures! Happy birthday to your MIL! And happy 2011! I'd love to spend NYE in the city someday - looks like a lot of fun!! that last picture is priceless!! love it!! glad ya'll had such a fun NYE!! you are gorgeous girly!! Wow what a view!! That last picture is just prefect, it really captures to evening! flippin LURVE the last picture!!! now that's what new years is all about. Looks like a blast, happy new year!